Self-catering Country house with 2 bedrooms and 2 bathrooms. Sleeps 4. Non-applicable changeover. 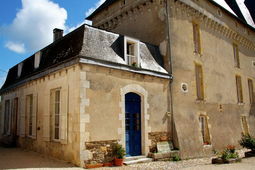 Self-catering Chateau with 3 bedrooms and 2 bathrooms. Sleeps 9. Saturday changeover. 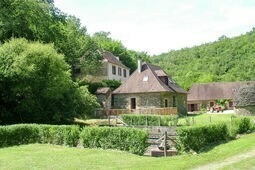 Self-catering Gîte with 1 bedrooms and 1 bathrooms. Sleeps 5. Saturday changeover. Self-catering Country house with 3 bedrooms and 3 bathrooms. Sleeps 12. Saturday changeover. 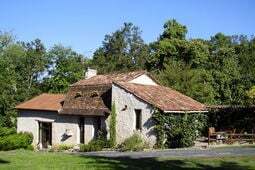 Self-catering Gîte with 11 bedrooms and 11 bathrooms. Sleeps 22. Non-applicable changeover. Self-catering Country house with 5 bedrooms and 4 bathrooms. Sleeps 12. Saturday changeover. The Dordogne region of south west France (department 24) is one of the most beautiful and popular regions of France. Come and explore this beautiful region which is full of chateaux, forests and gardens, medieval towns and villages, unspoilt countryside, rivers and caves. The Dordogne is the region most closely associated with Fois Gras a rich goose paté. This region is dominated by three great rivers, the Dordogne, the Lot and the Tarn, they make their way from the plateau of the Massif Central out to the Atlantic. Over the centuries, the Dordogne River, has carved out some remarkable caves and there are beautiful valleys which are rich and fertile whose gentle slopes are carpeted in lush greenery, ideal for the regions famous wines. The area is one of outstanding natural beauty. The most well know cave was discovered in 1942, it is Lascaux Cave and contains evidence of early man with its magnificent prehistoric paintings of animals and humans. The cave was closed to the public in 1963 to protect the cave paintings which can be damaged by the moisture people exhale when breathing. Hence Lascaux II was created, this is a perfect replica and is situated in Montignac. The capital of the Dordogne is Perigueux and is a great base for exploring the surrounding area. On Wednesdays and Saturdays they hold their markets in the medieval part of the town. First-class produce is on offer including assorted cured meats, truffles, foie-gras and pies or 'pates de Perigueux'. Together with a temperate climate, picturesque villages, pastoral farmland, a rich and fascinating history, numerous churches, cathedrals, castles, chateaux, bastide towns and fortresses, plus renowned gastronomy, you have a recipe for the perfect holiday destination! Sarlat - a beautiful restored town of honey coloured stone buildings with a superb Saturday market. 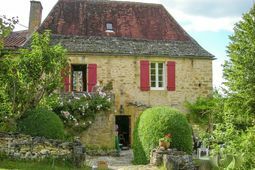 Domme - one of the best preserved medieval Bastide towns with wonderful views over the Dordogne River. Le Roque-Gageac - almost too perfect to be true, the village houses lie under the dramatically overhanging cliffs. Perigueux - tree shaded boulevards mixed with medieval houses and the restored 12th century cathedral. Rocamadour - Half-way up a near vertical cliff the spectacular setting of Rocamadour is hard to beat. St Cirq Lapopie - situated in the neighbouring Lot department this is one of the most beautiful villages in France, perched on cliffs above the Lot River. Lascaux II and Peche Merle Cave - the actual cave at Lascaux was closed to the public some time ago to protect the invaluable prehistoric cave paintings but this wonderful reproduction at Lascaux II allows you a glimpse of something truly magical. St. Emilion - this vineyard village has been described as one of the most beautiful sites in France. Eurostar has made the journey easy from London. St Pancras International to Paris, Gare du Nord takes just 2 hours 15 minutes. From there you can take the train to Périgueux (4 h) or the TGV to Angoulême and hire a car to Périgueux (2h30). Any of the ferry ports can be used to get to the Dordogne from the UK. The ports in Brittany and Normandy are however slightly nearer by road than Calais or Dunkirk.